The Eighteenth Dynasty of Egypt (notated Dynasty XVIII, alternatively 18th Dynasty or Dynasty 18) is classified as the first dynasty of the New Kingdom of Egypt, the era in which ancient Egypt achieved the peak of its power. The Eighteenth Dynasty spanned the period from 1549/1550 to 1292 BC. This dynasty is also known as the Thutmosid Dynasty for the four pharaohs named Thutmose. Several of Egypt's most famous pharaohs were from the Eighteenth Dynasty, including Tutankhamun, whose tomb was found by Howard Carter in 1922. Other famous pharaohs of the dynasty include Hatshepsut (c. 1479 BC–1458 BC), the longest-reigning woman pharaoh of an indigenous dynasty, and Akhenaten (c. 1353–1336 BC), the "heretic pharaoh", with his Great Royal Wife, Nefertiti. The Eighteenth Dynasty is unique among Egyptian dynasties in that it had two women who ruled as sole pharaoh: Hatshepsut, who is regarded as one of the most innovative rulers of ancient Egypt, and Neferneferuaten, usually identified as the iconic Nefertiti. Dynasty XVIII was founded by Ahmose I, the brother or son of Kamose, the last ruler of the 17th Dynasty. Ahmose finished the campaign to expel the Hyksos rulers. 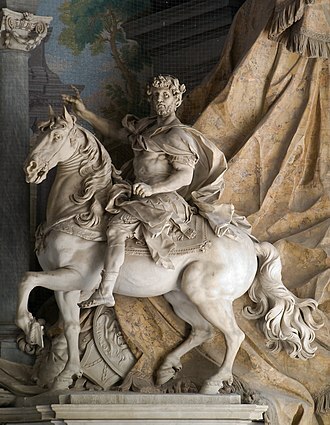 His reign is seen as the end of the Second Intermediate Period and the start of the New Kingdom. Ahmose was succeeded by his son, Amenhotep I, whose reign was relatively uneventful. Amenhotep I probably left no male heir and the next pharaoh, Thutmose I, seems to have been related to the royal family through marriage. During his reign the borders of Egypt's empire reached their greatest expanse, extending in the north to Carchemish on the Euphrates and in the south up to Kurgus beyond the fourth cataract of the Nile. Thutmose I was succeeded by Thutmose II and his queen, Hatshepsut, who was the daughter of Thutmose I. After her husband's death and a period of regency for her minor stepson (who would later become pharaoh as Thutmose III) Hatshepsut became pharaoh in her own right and ruled for over twenty years. 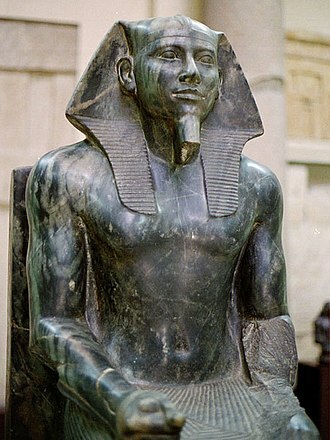 Thutmose III, who became known as the greatest military pharaoh ever, also had a lengthy reign after becoming pharaoh. He had a second co-regency in his old age with his son Amenhotep II. 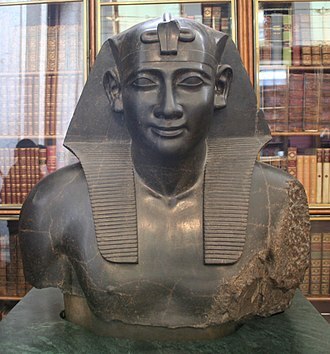 Amenhotep II was succeeded by Thutmose IV, who in his turn was followed by his son Amenhotep III, whose reign is seen as a high point in this dynasty. Amenhotep III undertook large scale building programmes, the extent of which can only be compared with those of the much longer reign of Ramesses II during Dynasty XIX. Amenhotep III may have shared the throne for up to twelve years with his son Amenhotep IV. There is much debate about this proposed co-regency, with different experts considering that there was a lengthy co-regency, a short one, or none at all. 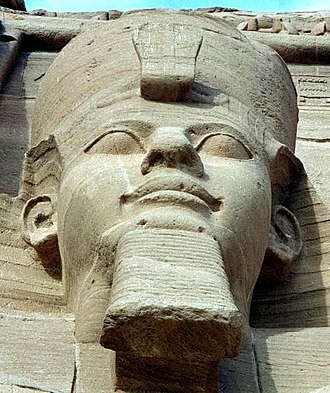 In the fifth year of his reign, Amenhotep IV changed his name to Akhenaten (ꜣḫ-n-jtn, "Effective for the Aten") and moved his capital to Amarna, which he named Akhetaten. During the reign of Akhenaten, the Aten (jtn, the sun disk) became, first, the most prominent deity, and eventually came to be considered the only god. Whether this amounted to true monotheism continues to be the subject of debate within the academic community. 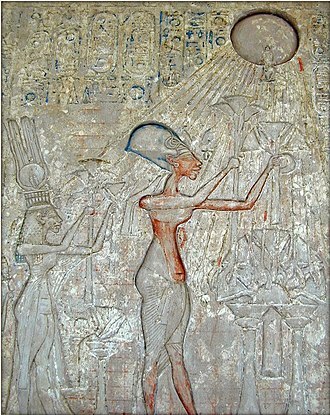 Some state that Akhenaten created a monotheism, while others point out that he merely suppressed a dominant solar cult by the assertion of another, while he never completely abandoned several other traditional deities. Later Egyptians considered this "Amarna Period" an unfortunate aberration. The events following Akhenaten's death are unclear. Individuals named Smenkhkare and Neferneferuaten are known but their relative placement and role in history is still much debated; Neferneferuaten was likely Akhetaten's Great Royal Wife Nefertiti's regnal name as pharaoh. Tutankhamun eventually took the throne but died young. The last two members of the Eighteenth Dynasty—Ay and Horemheb—became rulers from the ranks of officials in the royal court, although Ay might also have been the maternal uncle of Akhenaten as a fellow descendant of Yuya and Tjuyu. Ay may have married the widowed Great Royal Wife and young half-sister of Tutankhamun, Ankhesenamun, in order to obtain power; she did not live long afterward. Ay then married Tey, who was originally Nefertiti's wet-nurse. Ay's reign was short. His successor was Horemheb, a general during Tutankhamun's reign whom the childless pharaoh may have intended as his successor. Horemheb may have taken the throne away from Ay in a coup. 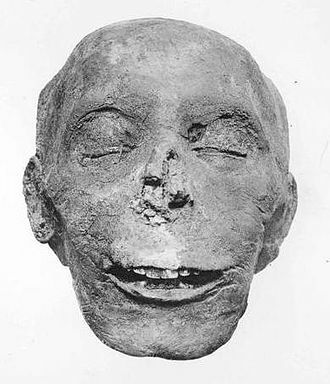 Horemheb died childless, having appointed his successor, Ramesses I, who ascended the throne in 1292 BC and was the first pharaoh of the Nineteenth Dynasty. This example to the right depicts a man named Ay who achieved the exalted religious positions of Second Prophet of Amun and High Priest of Mut at Thebes. His career flourished during the reign of Tutankhamun, when the statue was made. The cartouches of King Ay, Tutankhamun's successor appearing on the statue, were an attempt by an artisan to "update" the sculpture. Radiocarbon dating suggests that Dynasty XVIII may have started a few years earlier than the conventional date of 1550 BC. The radiocarbon date range for its beginning is 1570–1544 BC, the mean point of which is 1557 BC. The pharaohs of Dynasty XVIII ruled for approximately two hundred and fifty years (c. 1550–1298 BC). 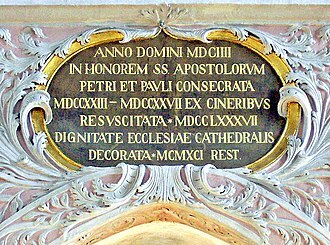 The dates and names in the table are taken from Dodson and Hilton. 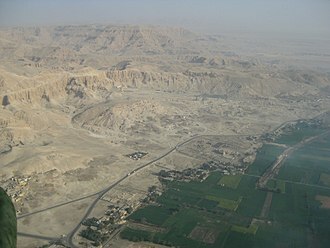 Many of the pharaohs were buried in the Valley of the Kings in Thebes (designated KV). More information can be found on the Theban Mapping Project website. 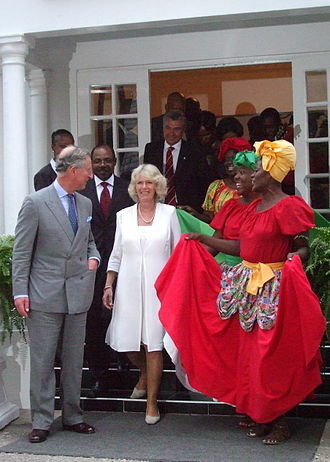 Several diplomatic marriages are known for the New Kingdom. These daughters of foreign kings are often only mentioned in cuneiform texts and are not known from other sources. The marriages were likely to have been a way to confirm good relations between these states. Ahmose-Nefertari. Ahmose-Nefertari was the daughter of Seqenenre Tao II, a 17th dynasty king who rose up against the Hyksos. Her brother Ahmose, expelled the Hyksos, and she became queen of a united Egypt. She was deified after she died. Ahmose I. Though he was called the founder of the 18th dynasty, he was the brother of Kamose, the last pharaoh of the 17th dynasty. During his reign, he expelled the Hyksos from Lower Egypt and brought the Nile Delta under his control, politically unifying Egypt once again. Amenhotep I gained the throne after his two elder brothers had died. He was the son of Ahmose and Ahmose-Nefertari. He was succeeded by Thutmose I who married his daughter, Ahmose. Amenhotep I with his mother, Ahmose-Nefertari. Both royals are credited with opening a workmen's village at Deir el-Medina. Dier el-Medina housed the artisans and workers of the pharaohs tombs in the Valley of the Kings, from the 18th to 21st dynasties. Amenhotep I and his mother were deified and were the village's principal gods. Thutmose I. A military man, he came to power by marrying the sister of Amenhotep I. During his reign, he pushed the borders of Egypt into Nubia and the Levant. 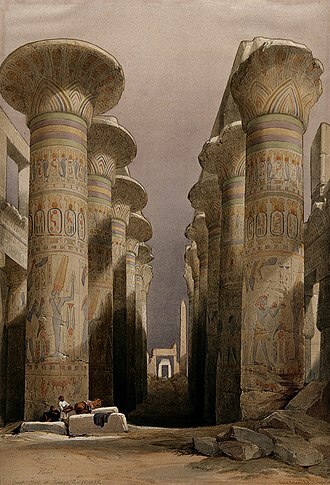 He is credited with the starting the building projects in what is now the temple of Karnak. Sketch from temple relief of Thutmose II. Considered a weak ruler, he was married to his sister Hatshepsut. He named Thutmose III, his son as successor to prevent Hatshepsut from gaining the throne. They had a daughter, Neferure. Hatshepsut. Daughter of Thutmose I, she ruled jointly as her stepson Thutmose III's co-regent. She soon took the throne for herself, and declared herself pharaoh. While there may have been other female rulers before her, she is the only one who used the symbolic beard. Thutmosis III, a military man and member of the Thutmosid royal line is commonly called the "Napoleon of Egypt". His conquests of the Levant brought Egypt's territories and influence to its greatest extent. Queen Nefertiti the daughter of Ay, married Akhenaten. 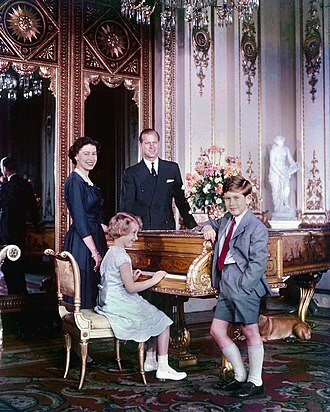 Her role in daily life at the court soon extended from Great Royal Wife to that of a co-regent. It is also possible that she may have ruled Egypt in her own right as pharaoh Neferneferuaten. Queen Meritaten, was the eldest daughter of Akhenaten and Nefertiti. She was the wife of Smenkhkare. She also may have ruled Egypt in her own right as pharaoh and is one of the possible candidates of being the pharaoh Neferneferuaten. Smenkhkare, was a co-regent of Akhenaten who ruled after his death. It was believed that Smenkhkare was a male guise of Nefertiti, however, it is accepted that Smenkhkare was a male. He took Meritaten, Queen Nefertiti's daughter as his wife. Tutankhamun, formerly Tutankhaten, was Akhenaten's son. As pharaoh, he instigated policies to restore Egypt to its old religion and moved the capital away from Akhetaten. 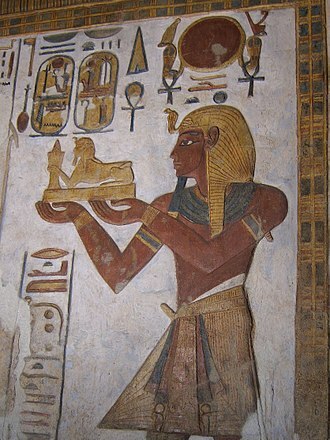 Ay served as vizier to Akhenaten, and Tutankhamun. He was the father of Nefertiti. After the death of Tutankhamun, Ay laid a claim to the throne by burying him and marrying his granddaughter Ankhesenamun. 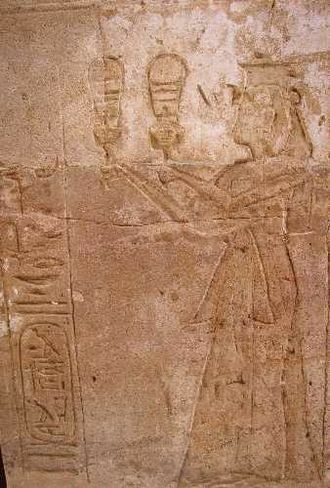 After the death of Ay, Horemheb assumed the throne. A commoner, he had served as vizier to both Tutankhamun and Ay. Horemheb instigated a policy of damnatio memoriae, against everyone associated with the Amarna period. He was married to Nefertiti's sister, Mutnodjmet, who died in childbirth. With no heir, he appointed his own vizier, Paramessu as his successor. Tiye was the daughter of the visizer Yuya. She married Amenhotep III, and became his principal wife. Her knowledge of government helped her gain power in her position and she was soon running affairs of state and foreign affairs for her husband, Amenhotep III and later her son, Akhenaten. She is also Tutankhamun's grandmother. Senenu, High Priest of Amūn at Deir El-Baḥri, grinding grain, c. 1352–1292 BC, Limestone, Brooklyn Museum. ^ Dodson, Aidan; Hilton, Dyan (2010). The Complete Royal Families of Ancient Egypt. Thames & Hudson. p. 142. ISBN 978-0-500-28857-3. ^ a b Dodson, Aidan; Hilton, Dyan (2010). The Complete Royal Families of Ancient Egypt. Thames & Hudson. p. 143. ISBN 978-0-500-28857-3. ^ "Block Statue of Ay". brooklynmuseum.org. Retrieved 17 June 2014. ^ "Sites in the Valley of the Kings". Theban Mapping Project. 2010. Retrieved 24 November 2018. The Nineteenth Dynasty of ancient Egypt was one of the periods of the Egyptian New Kingdom. Founded by Vizier Ramesses I, whom Pharaoh Horemheb chose as his successor to the throne, the warrior kings of the early 18th Dynasty had encountered only little resistance from neighbouring kingdoms, allowing them to expand their realm of influence easily. The situation had changed radically towards the end of the 18th Dynasty, the Hittites gradually extended their influence into Syria and Canaan to become a major power in international politics, a power that both Seti I and his son Ramesses II would need to deal with. 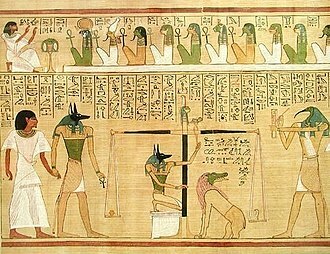 The Pharaohs of the 19th dynasty ruled for one hundred and ten years. Seti Is reign is considered to be 11 years and not 15 years by both J. von Beckerath and Peter Brand, who wrote a biography on this pharaohs reign. Consequently, it will be amended to 11 years or 1290-1279 BC, Setis father and predecessor would have ruled Egypt between 1292-1290 BC. Many of the pharaohs were buried in the Valley of the Kings in Thebes, more information can be found on the Theban Mapping Project website. New Kingdom Egypt reached the zenith of its power under Seti I and Ramesses II, who campaigned vigorously against the Libyans and the Hittites. The city of Kadesh was first captured by Seti I, who decided to concede it to Muwatalli of Hatti in a peace treaty between Egypt and Hatti. He ultimately accepted that a campaign against the Hittites was a drain on Egypts treasury and military. In his 21st regnal year, Ramesses signed the first recorded peace treaty with Urhi-Teshubs successor, Hattusili III, Ramesses II even married two Hittite princesses, the first after his second Sed Festival. At least as early as Josephus, it was believed that Moses lived during the reign of Ramesses II and this dynasty declined as internal fighting between the heirs of Merneptah for the throne increased. 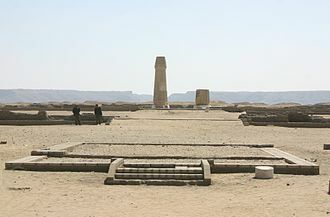 Amenmesse apparently usurped the throne from Merneptahs son and successor, Seti II, after his death, Seti regained power and destroyed most of Amenmesses monuments. 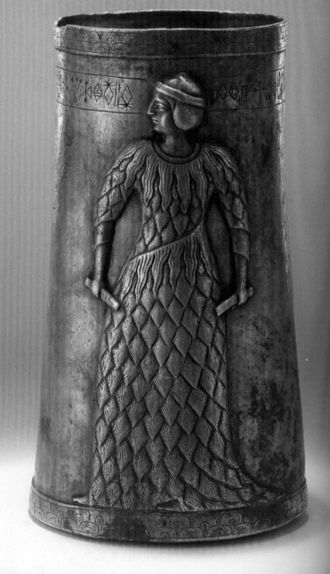 Both Bay and Setis chief wife Twosret had a reputation in Ancient Egyptian folklore. The Eighteenth and Twentieth Dynasties of Ancient Egypt collectively mark the New Kingdom. The latter two dynasties constitute an era known as the Ramesside period, the Twentieth Dynasty is considered to be the last one of the New Kingdom of Egypt, and was followed by the Third Intermediate Period. The Pharaohs of the 20th dynasty ruled for approximately 120 years, the dates and names in the table are mostly taken from Chronological Table for the Dynastic Period in Erik Hornung, Rolf Krauss & David Warburton, Ancient Egyptian Chronology, Brill,2006. Many of the pharaohs were buried in the Valley of the Kings in Thebes, more information can be found on the Theban Mapping Project website. Pharaoh Setnakhte was likely already middle aged when he took the throne after Queen Twosret and he ruled for only around 4 years when he was succeeded by his son Ramesses III. 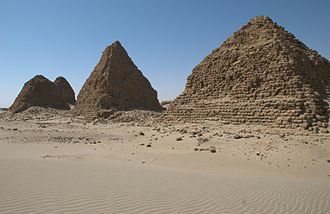 Egypt was threatened by the Sea Peoples during this time period, the king is known for a harem conspiracy in which Queen Tiye attempted to assassinate the king and put her son Pentawere on the throne. The coup was not successful in the end, the king may have died from the attempt on his life, but it was his legitimate heir Ramesses IV who succeeded him to the throne. After this a succession of kings named Ramesses take the throne, the period of these rulers is notable for the beginning of the systematic robbing of the royal tombs. Many surviving administrative documents from this period are records of investigations and punishment for crimes, especially in the reigns of Ramses IX. As happened under the earlier Nineteenth Dynasty, this group struggled under the effects of the bickering between the heirs of Ramesses III, for instance, three different sons of Ramesses III are known to have assumed power as Ramesses IV, Ramesses VI and Ramesses VIII respectively. Smendes would eventually found the Twenty-First dynasty at Tanis, the Twentieth dynasty of Egypt was the last of the New Kingdom of Egypt. The familial relationships are unclear, especially towards the end of the dynasty, pharaoh is a historical novel by Bolesław Prus, set in Egypt at the end of the Twentieth Dynasty, which adds two fictional rulers, Ramesses XII and Ramesses XIII. The Thirtieth Dynasty of Egypt is usually classified as the fifth Dynasty of the Ancient Egyptian Late Period. It was founded after the overthrow of Nefaarud II in 380 BC by Nectanebo I, Nectanebo I had gained control of all of Egypt by November of 380 BC, but spent much of his reign defending his kingdom from Persian reconquest with the occasional help of Sparta or Athens. In 365 BC, Nectanebo made his son Teos co-king and heir, tjahepimu took advantage of Teos unpopularity within Egypt by declaring his son—and Teos nephew, Nectanebo II—king. The Egyptian army rallied around Nectanebo which forced Teos to flee to the court of the king of Persia, Nectanebo IIs reign was dominated by the efforts of the Persian rulers to reconquer Egypt, which they considered a satrapy in revolt. For the first ten years, Nectanebo avoided the Persian reconquest because Artaxerxes III was forced to consolidate his control of the realm. Artaxerxes attempted an invasion of Egypt in the winter of 351/350 BC, the repercussions of his defeat prompted revolts in Cyprus, Phoenicia. Western part of the Achaemenid Empire, with the territories of Egypt. Egyptian statue of Darius I. 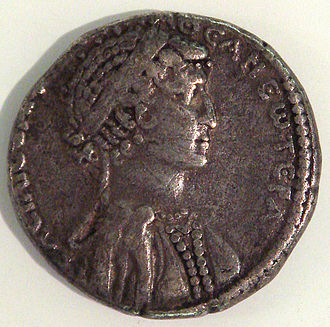 Portrait of Sabaces, Achaemenid satrap of Egypt, from his coinage. Circa 340-333 BC. Achaemenid Egypt. 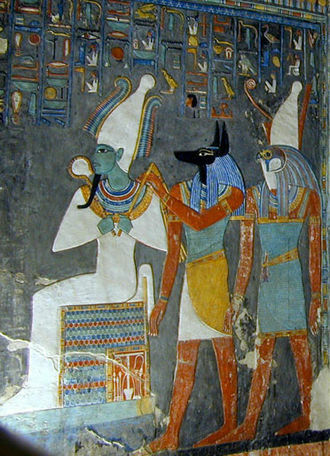 Kings of the 8th Dynasty on the Abydos king list, from Netjerkare Siptah to Neferkamin. Kings of the 8th Dynasty on the Abydos king list, from Nikare until Neferirkare. Fragments of two Coptos decrees dating to the reign of Neferkauhor, end of the Eighth Dynasty.